When continuing one’s education, it is important to find a school that will actually get the person where he/she needs to be after graduation. Many people, after some years working in the workforce, decide they want to upgrade their education. When trying to enter the optometry field after being out of university for a while, a person will want to find an accredited institution. This must be accredited by the Accreditation Council on Optometric Education. The individual first requires at least 3 years of undergraduate education, preferably 4, before applying to the field to become a doctor. Then one qualifies to apply to the 4 to 5 year university program . One excellent school to choose when becoming a optometrist is the University of Waterloo. It is located in Waterloo, Ontario at 200 University Avenue West, N2L 3G1. The staff there is very friendly and willing to answer calls during work days at 1 519 888 4567. The Doctor of Optometry program here has a very specific mission in selecting their candidates. 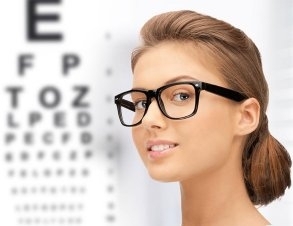 The site lists their three goals in training their students to become optometrists. They have a strong goal to select the candidates best suited for the profession and to nurture this talent and aptitude. The university wants to train students to excel in research and advance the field of optometry. Another strong choice, and the only other option in Canada, is the Universite de Montreal. However, as the name suggests, the candidate must be bilingual as all the classes are in French. The school is located at 3744 Jean-Brillant, local 110,H3T 1P1. They are available for questions during day time hours at 514-343-6082. Montreal is a beautiful city which is a strong choice for someone who prefers to speak French. Here in Canada, there is obviously a lot of competition to get into optometry schooling. Being a doctor is an important responsibility, so it makes sense that both schools would sift through their candidates very carefully. Eye Care Professions has some great tips on their website for applying to optometry. They site the importance of a high GPA and applying early to the school. Another one of their great tips in their article is to shadow an optometrist. This will allow the potential applicant to get an idea of what life is like day to day for the doctor. Also, sometimes it is profitable to join a forum for other professionals looking to become doctors. The Student Doctors’ Net is a non profit organization that hosts forums for people in a similar situation. Here a potential doctor can look up the threads of discussion regarding other candidates’ questions and struggles and engage in an open dialogue. Becoming a doctor in any field can be daunting. It’s nice to know though that the institutions that regulate optometry education have such a proactive approach regarding their selection process. Take some time to familiarize oneself with the resources available online for budding doctors. Utilizing online tools can help in the process.